This was created on a busy weeknight and inspired by the sauce I made for the Fishball and Cheong Fun with the same sweet sauce via Cooking with Allison. 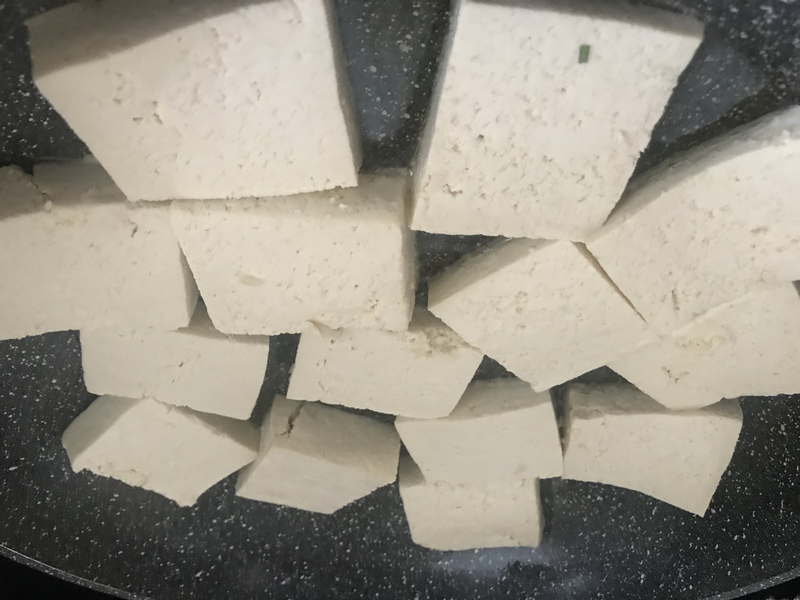 If you have firm tofu in the fridge, but don’t feeling like prepping minced garlic, onions or veggies to sauté or pan fry it, all you need to do is to lay your tofu on several layers of paper towels or clean cheesecloth, and soak up as much of the moisture from the tofu as possible. 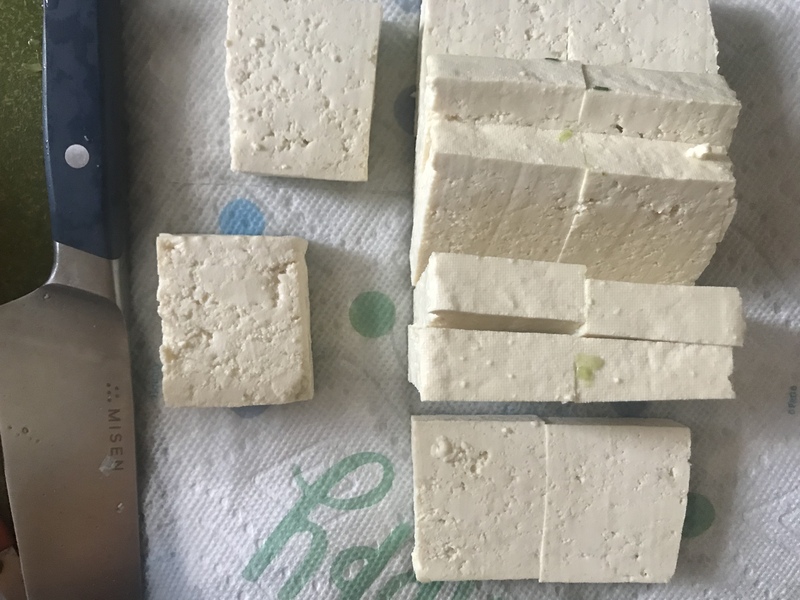 Wring out the towel and keep going until the tofu feels dry. If you are a lover of pho, you probably have Hoisin sauce somewhere in the back of your fridge. If you don’t have sunflower butter, use peanut butter instead. Sunflower butter is my preference though because it taste as close to the real sauce you get in the cheong fun carts in Chinatown. The sauce I made was identical to the fishball recipe, except I served with tofu and cucumbers instead. I mixed the sunflower butter with the hoisin sauce this time. If I had to do it over, I would keep it separate like the one for the fishball recipe. 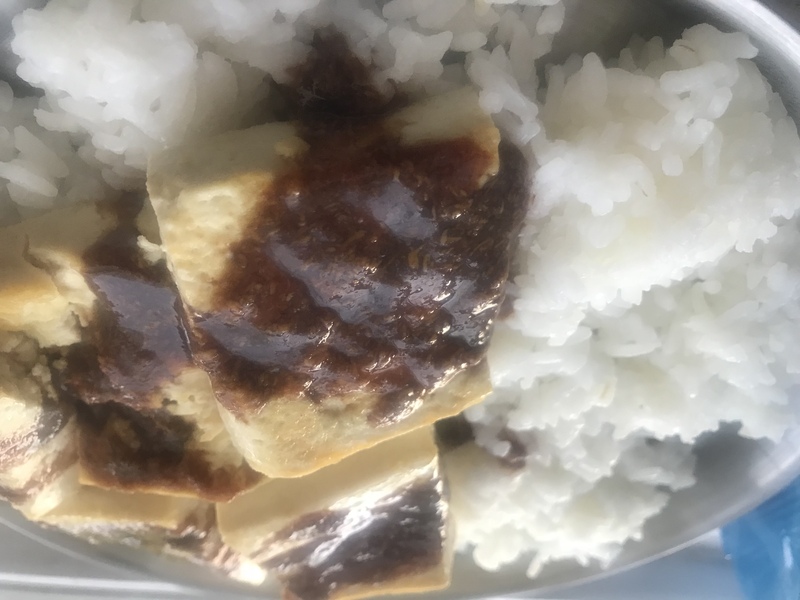 I like having the two distinct sauces sweet sauce and sunflower/peanut sauce separately because it think it gives the dish a different level of sophistication. It’s not just a glorified sweetened soy sauce, but a great pair that enhances the flavor of the other. Putting it together takes away from the dish. Regardless, the kids and husband gobbled it up. It was so easy to and I’ll most likely put this onto the regular rotation for our weeknight meals. If you have any kind of hot chili oil or siracha , this will make it even more amazing! 1- Pan fry the tofu until desired crispiness on both sides. 2- Combine and mix well all the ingredients in a separate dish, except tofu. *Note: Feel free to warm up the sauce in a saucepan until it borderline bubbles. Not too long or it can be too salty. 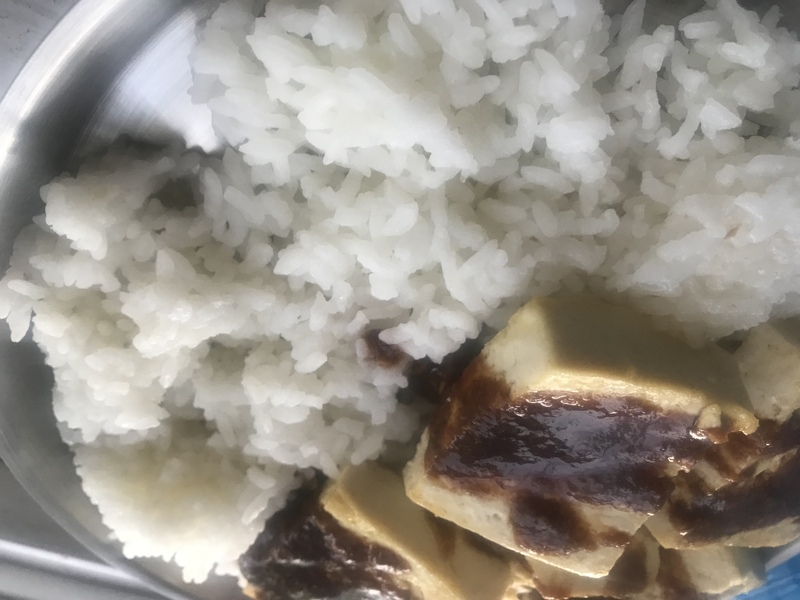 3- Scoop your rice and top with tofu and drizzle the sauce over the tofu. Do you have Hoisin Sauce in your pantry? How do you like to use it?